I have been training debt collectors since 1980 and I have been doing training classes for my consulting clients for the last 20 years and I have adopted a few techniques over the years and reading “Green Eggs & Ham” aloud with a new class of debt collectors has been one of my techniques for decades. The book is a classic sales book form the first page to the last. In case you cannot remember what the book is about it has two characters and one is trying to get the other to try or buy something they don’t want or like, specifically Green Eggs and Ham. After trying many different approaches the salesman finely gets the buyer to try the product and then the buyer loves the product and the salesman’s job is done. This depicts a great debt collectors attitude and process. Can you pay in full, can you pay in full in 2 payments, in 3 payments? Can you pay in settlement? Can you pay in settlement in two payments? A great debt collector will always explore the best option fully before he moves to the next option. So this book explores that mentality and it’s success. The whole book has just 50 words and is still over 70 pages in length. 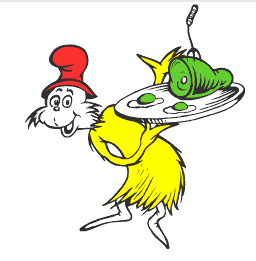 The book was actually written as a bet between Random House publisher and Dr. Suess. The bet was made in 1960 and this book was the bet winning book as it contains only 50 different words. Debt collectors have many tendencies and training people these days is challenging so any thing you can do that is memorable and can quick and simply get the message across helps the training process. Lighthouse Consulting has been creating custom trading programs for collection agencies, creditors and law firms for 20 years. If you want to talk about having Lighthouse append your training give me a call.